Yesterday the Department for Education released data on levels of participation in higher education. The figures show that the number of young disadvantaged students going to university is at a record high but there is still a gap between the progression of pupils on free school meals and their peers attending university. The story has been reported widely including by the Guardian, BBC and Schools Week. We are seeing record numbers of disadvantaged young people going to university and benefitting from the real opportunities that our world class universities can offer. But, with a gap still persisting depending on a student’s background, there is still more work to do to build a society that works for everyone. Everyone in our country should be allowed to rise as far as their talents will take them, whoever they are and wherever they’re from. We will not rest until every young person in our country has the chance to fulfil their promise. Today UCAS has released a report that shows pupils who achieve well at GCSE are more likely to achieve their predicted grades at A level and get into the university of their choosing. Mary Curnock-Cook, chief executive of UCAS, has been quoted saying “the increase in over-prediction of grades over time has not materially affected the pattern of admissions”, while the report suggests teachers are more likely to inflate the predicted grades of disadvantaged pupils and those from minority backgrounds. The story has been covered today by the Times and the Telegraph, which both lead on teachers inflating predicted grades, and the Mail, which focuses specifically on predictions for minority pupils. We are clear that we trust teachers to give fair predicted grades because, as Mary Curnock-Cook points out, it makes no difference in the long run as universities will only increase their admission threshold. 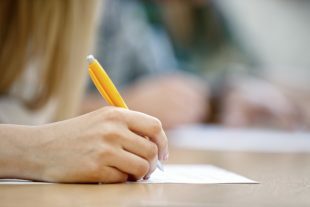 The report also suggests that pupils taking certain patterns of GCSE subjects are more likely to achieve their predicted grades. Every child should have chance to fulfil their potential – and that starts with an excellent education, no matter their background and ability. We trust teachers to act in the best interests of their students by giving fair predicted A level grades that accurately reflect their ability. Our new more rigorous GCSEs and A levels will match the best education systems in the world and keep pace with universities’ and employers’ demands.